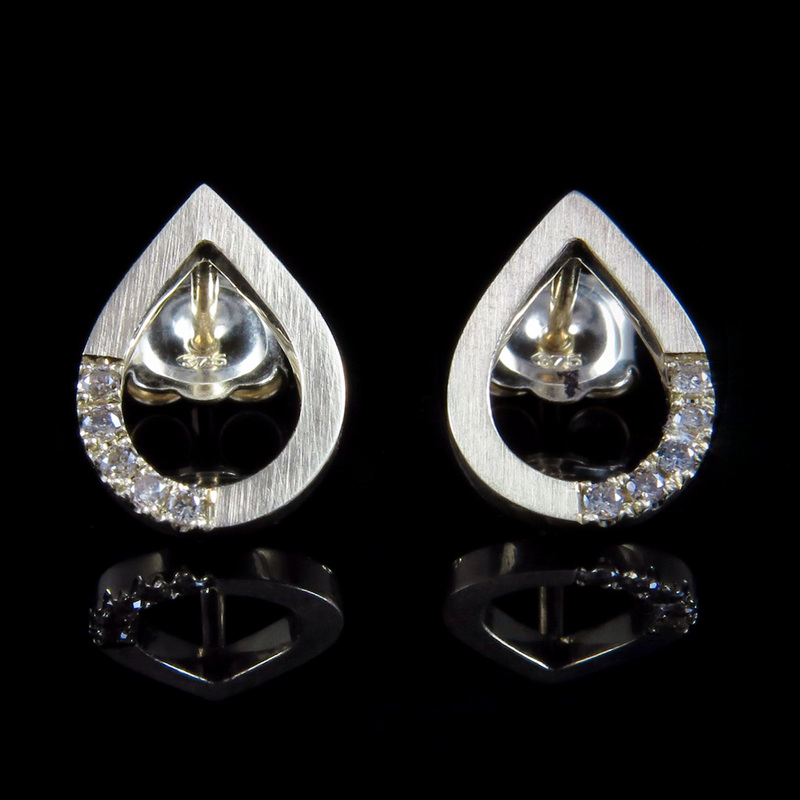 Handmade 9 kt yellow gold ear studs set with champagne coloured brilliant cut diamonds. 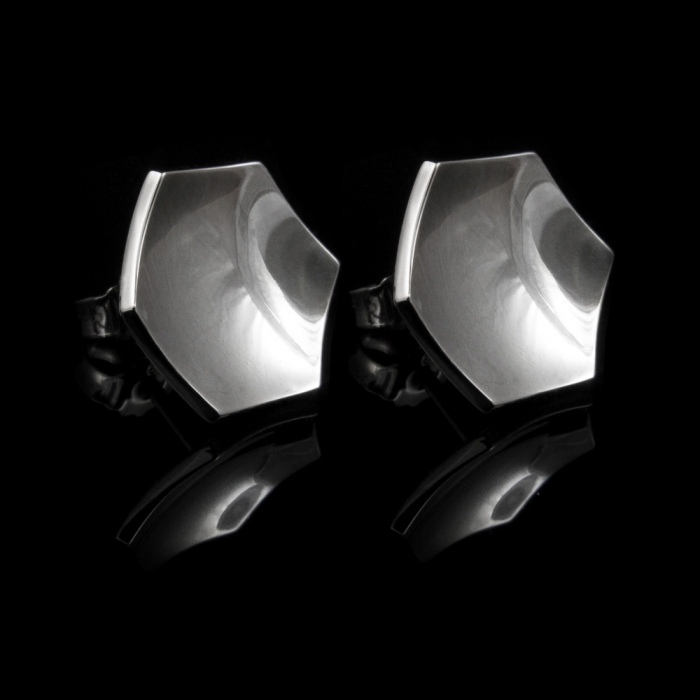 This is a more modern version of our classic Zeitgeist studs, focusing on the shape of the metal and accentuating it with a little sparkle. 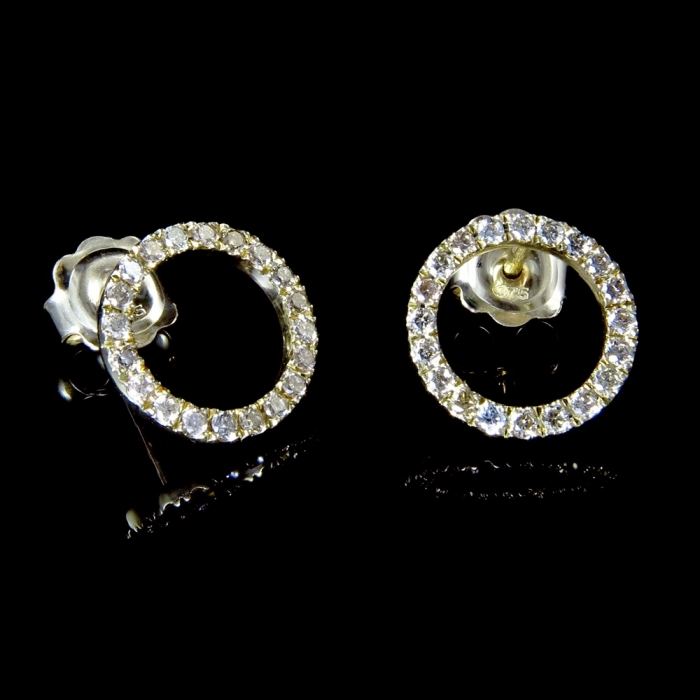 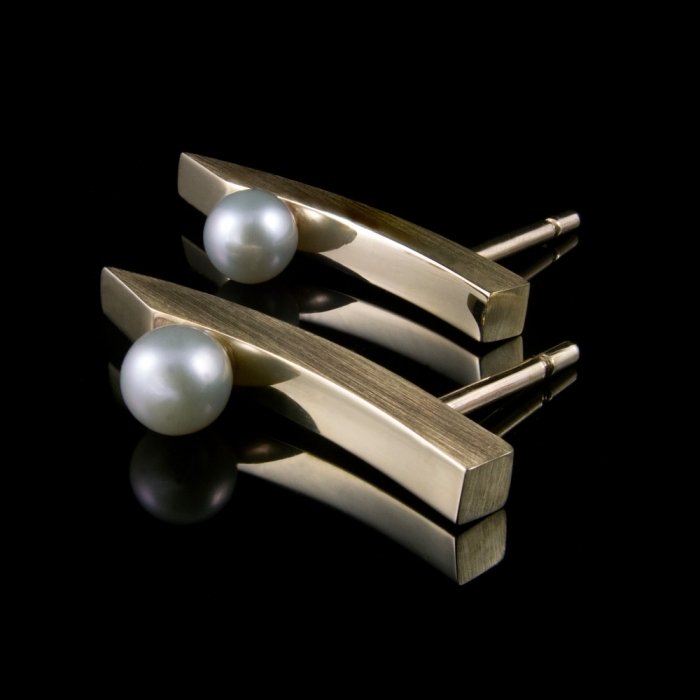 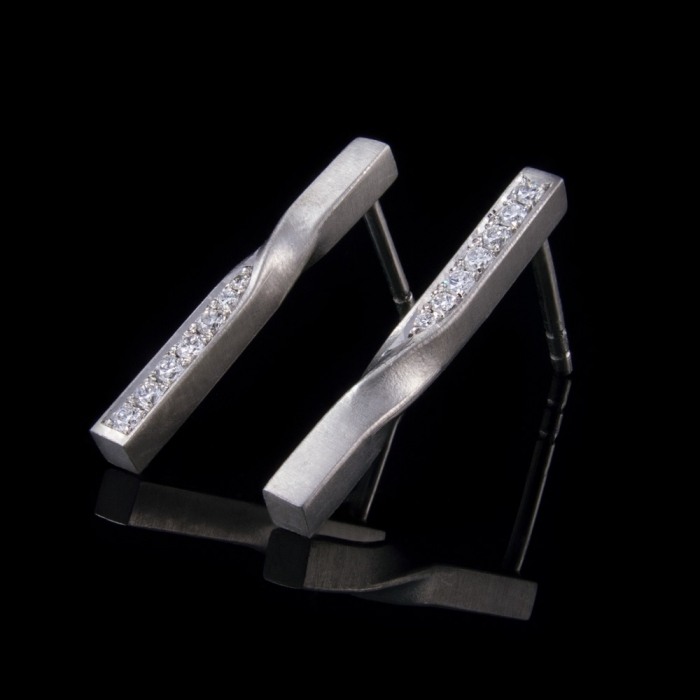 Each ear stud is hand set with 5 champagne coloured diamonds, perfectly mirrored.